A much-anticipated Kingston brewery and taproom is set to begin pouring this weekend. The aptly-named (given our recent weather) Downpour Brewing plans to open Saturday in the former Sacks Feed building on Highway 104. Suquamish electrician-turned-brewer Dan Williams and wife Kristen began work on the brewery early this year. Dan said the Downpour taproom features seating for 30 and bar seating for nine. There’s also a play area for kids and outdoor seating for when the sun reappears. Nine tap handles will pour a rotation of Downpour’s brews, including an IPA, blond, pale, stout and SMASH (single malt, single hop), among other styles. “We love trying new recipes using fresh local ingredients and experimenting with our standard favorites, substituting different malts and hops to vary the flavor profile,” Dan said in an email. Downpour will offer its own root beers and cream sodas, a guest hard cider and beers from other microbreweries. Like most microbreweries, Downpour will also provide a selection of snacks and patrons are invited to bring their own food. Menus from local restaurants will be on hand. 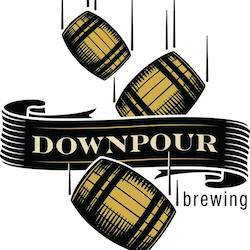 For information and updates check the Downpour page on Facebook, visit the brewery website (under development), email downpourbrewing@gmail.com, or call 360-881-0452. Downpour is the eleventh brewery open in Kitsap County. It joins Hood Canal Brewery in the Kingston area. You can find more local brewery info on our beer page. Watch for a full story on Downpour in our upcoming Monday edition.